SVN is a software versioning and revision control system distributed under an open source license but sometimes we have received the message like your SVN is locked or There are unfinished transactions detected while update/commit the changes. Error Code: svn: E200030: There are unfinished transactions detected. This basically happens when you trying to commit or update the changes on the server and server is down/not responding/shutdown. To resolve this type of error you may use the following methods. 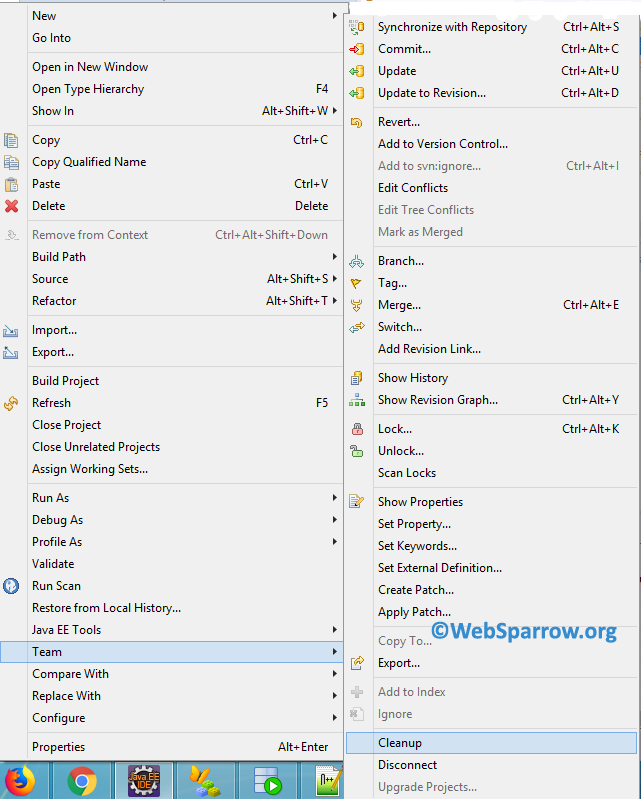 To clean up the project do the following steps: Right-click on the project » Team » Cleanup. If the problem still persists, you can go for the second option. SVN uses the SQLite database and maintains unfinished transactions in WC_LOCK table. Step 1: Download the SQLite Personal and install it. To download it click here. 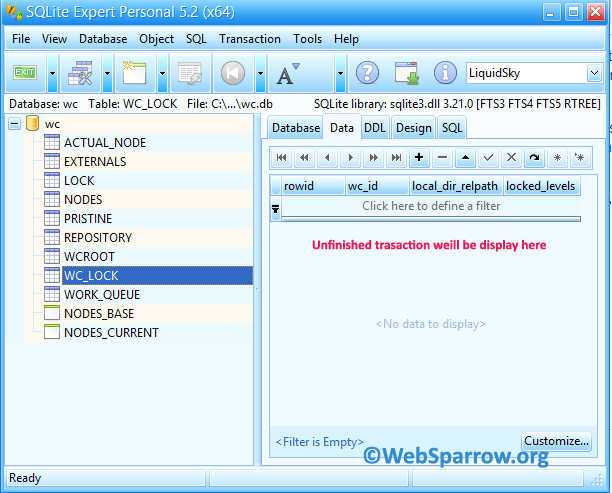 Step 2: Open the SQLite Personal and click on the File » Open Database. Step 3: Select the wc.db file from workspace location » .svn » wc.db. Open it. Note: .svn is hidden folder make sure you have enabled hidden functionality on your machine. Step 4: WC_LOCK contains all the unfinished transactions records. Delete your records from here. Step 5: Restart your Eclipse and now you are able to commit/update the changes.